Lox is just fancy name for salmon which has been smoked and cured in brine. Its a stretch but I figure that a can of smoked salmon should be close enough to the mark for someone not in the mood to duck out to the shops for some fancy stuff. Smoked salmon, capers, cream cheese and dill was all the range in cafes a few years ago because of the salty nomminess and how well dill goes with salmon. 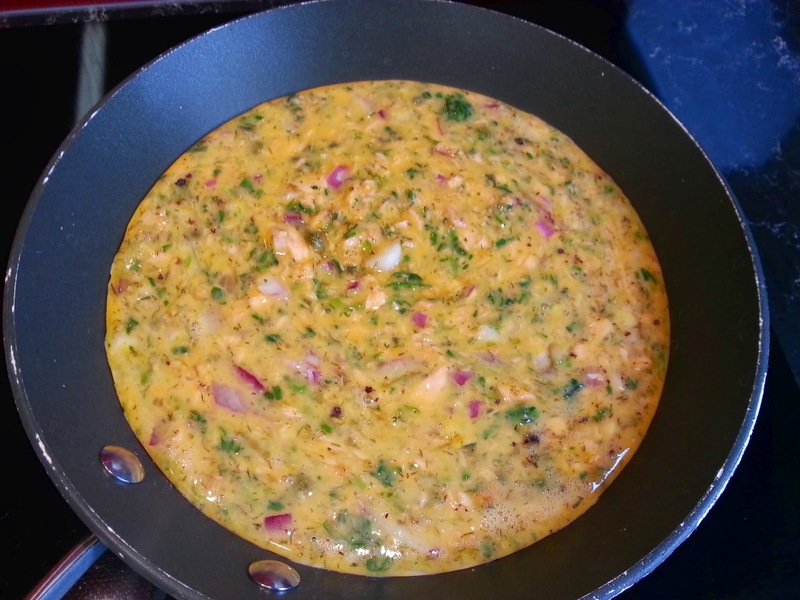 Since I’m in a phase of finding fun spins for scrambled eggs, I was curious to find out whether I could use some of these flavours with egg – and it turns out that it is a beautiful thing. 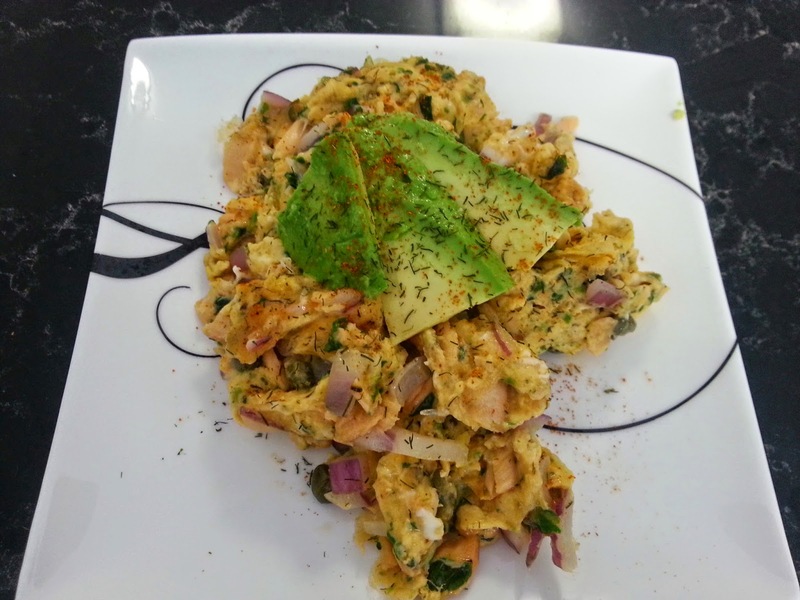 The following is a breakfast recipe which is high in omega 3, good fats and protein. Yummo. 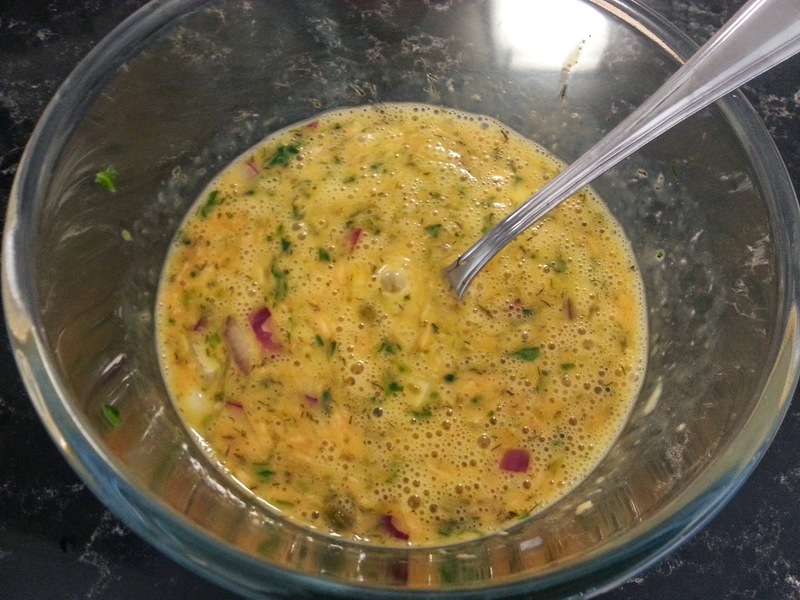 Whisk the eggs, salmon, capers, red onion and dill in a bowl. 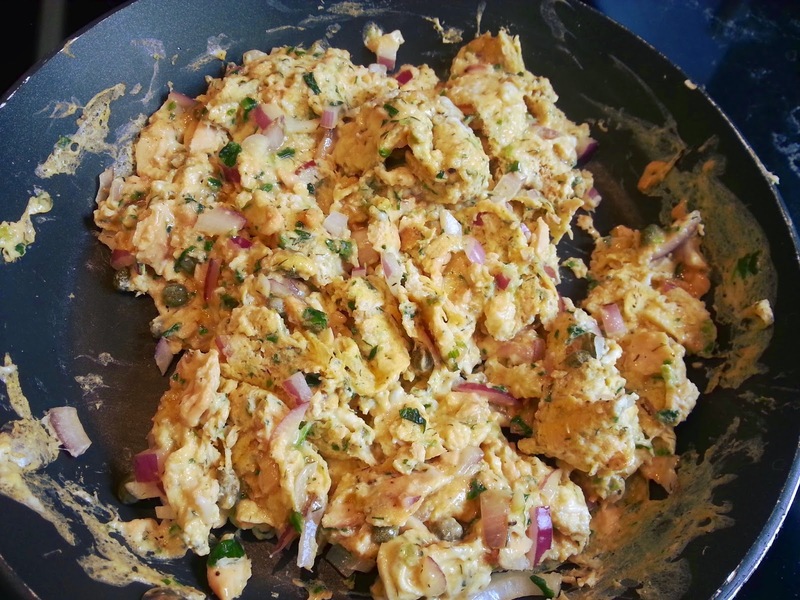 Scramble once it starts cooking. 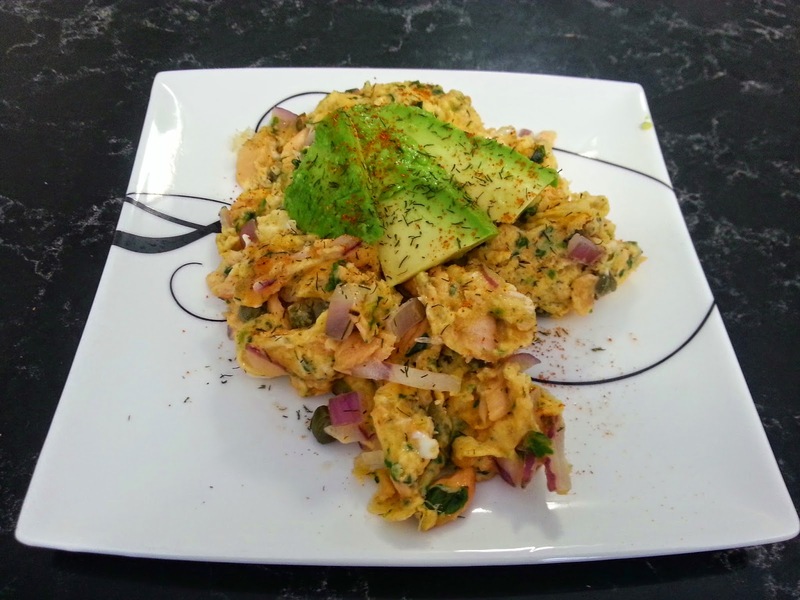 Serve topped with avocado, a dash of extra dill and, if you like, a small sprinkle of cayenne pepper for spice. This packed quite the flavour punch on a Sunday morning. It kept me full till lunch and felt like comfort food without the post indulgence bloat.